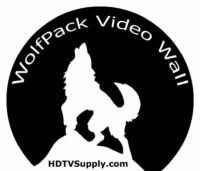 HDTV Supplys WolfPack™ 4x1 Quad Video Wall Processor is a high performance 4 by 1 Quad Multi-Viewer couple with as fast seamless switch. The WolfPack 4 by 1 Quad Multi-Viewer supports four High definition input sources display on one screen and has 5 - multi-view effect mode. As a switcher, it can also seamlessly switch the four HD inputs quickly. The product can be controlled by the front button or the supplied 10 - button IR remote control. It has four HDMI inputs to go to 1 - widescreen or projector. The 4x1 Quad Video Wall Processor sends the resulting mixed video thru HDMI interface to the connected widescreens or projector based on the display layout you select. Any input can be set as the primary with easy toggling between it and the other inputs, from the IR remote control. The layout can be readily modified to fit your applications and optimize visual effects. Typical applications include digital signage, and broadcasting/education/ surveillance systems, etc. Supports 4 HDMI input ports. Supports 1 HDMI output port. 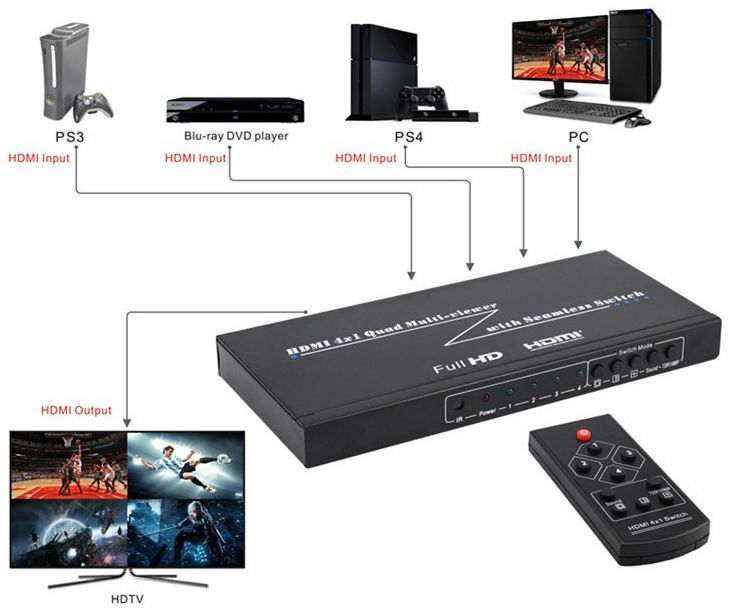 Supports multiplexed HDMI 4-input and 1-output. Supports up to 1080p High Definition resolution. 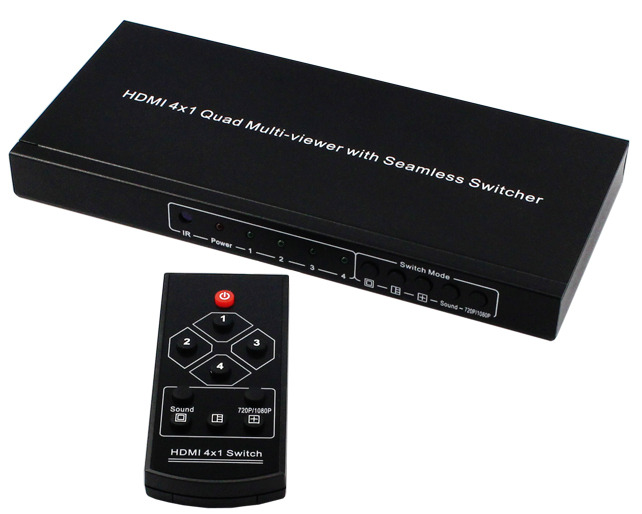 Supports 4by1 Quad Multi-viewer and seamless switch. Supports 720p and 1080p output resolution. Supports Equalizer TMDS Output: 25MHz / 225MHz TMDS clock. Supports 1080p input up to 15 meters and output up to 20 meters ( cable standard AWG26). Extends the transmission distance and improves transmission signal. Compatible with DVI with a HDMI to DVI adapter. Why not buy this 4x1 Quad Video Wall Processor today?